A counter-winding spiral galaxy has two usually non-overlapping sets of spiral arms that open outward in opposite directions. 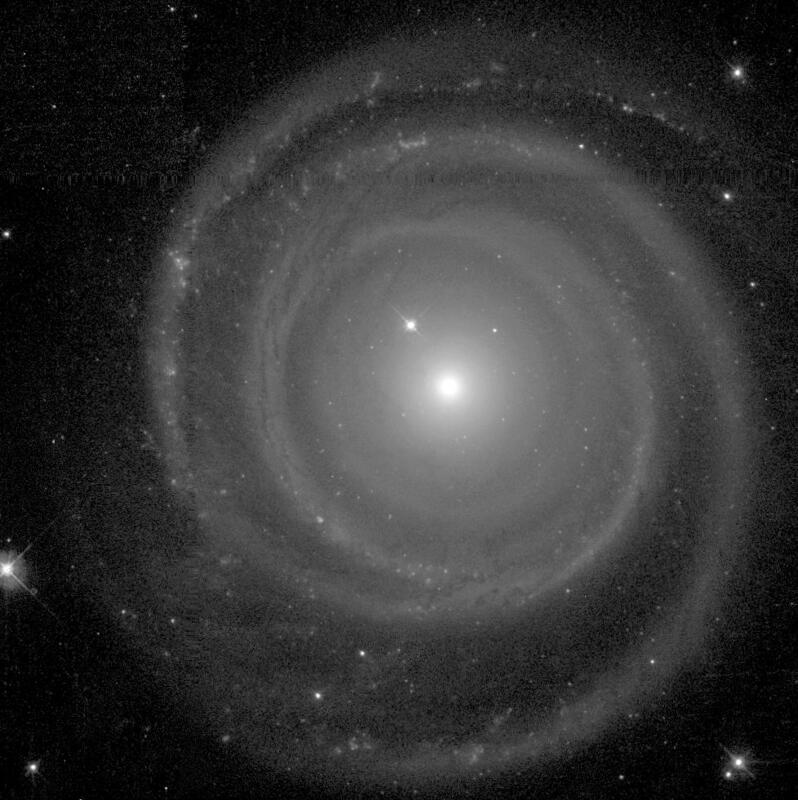 The first example, NGC 4622, was discovered by Dr. Gene Byrd. At right is the weblink for our major paper on the structure of this galaxy that shows how we came to the conclusion that the two strong outer arms are leading. Another example recently studied is ESO 297-27, also linked at right. In this case, studied by my former student Dr. Rebecca D. Grouchy, we determined that an inner single spiral arm is leading. NGC 4622 as observed in visual light with the Hubble Space Telescope.